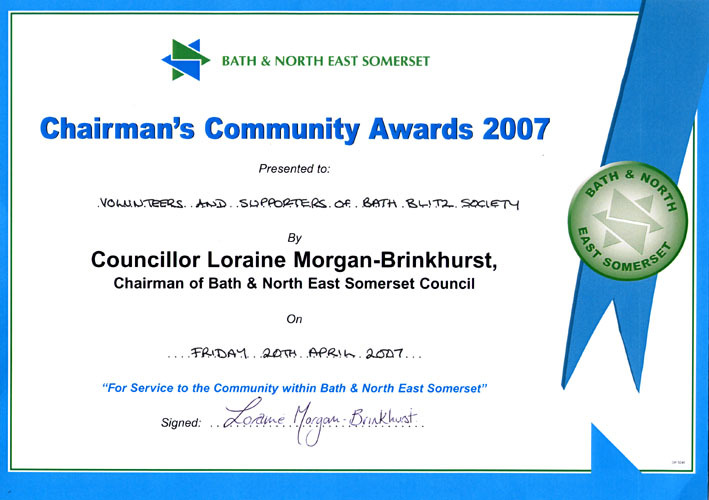 On April 20th 2007, at the invitation of Councillor Loraine Morgan-Brinkhurst, the Chairman of Bath & North East Somerset Council, members of the Project met the Chairman for tea at the Guildhall. 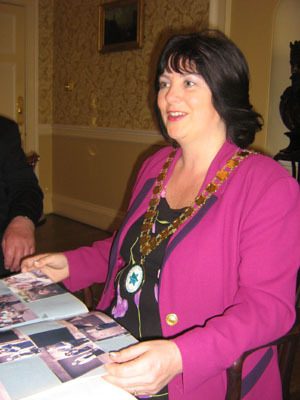 Over tea, the Chairman produced a scrap book, containing photographs and news clippings of the occasion in 2003 when in her role as Mayor of Bath she attended the Memorial Dedication service and conducted the formal unveiling. She reminded those present how honoured she had been to be asked to unveil the memorial, how important she thought it was that the people who died should be remembered by name, and how valuable it was that memories of those times should be preserved for future generations. 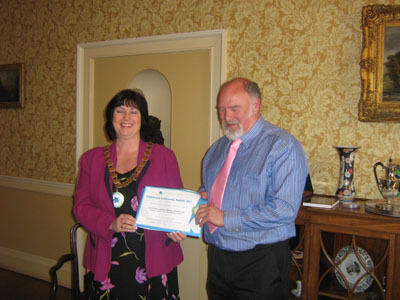 She commended the Project for its work in getting the Memorial installed, and for continuing to hold memorial services that reminded everyone of the stories to be told. 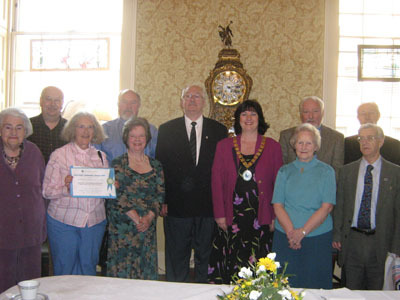 We all posed for the official photograph for the Chairman's scrapbook. 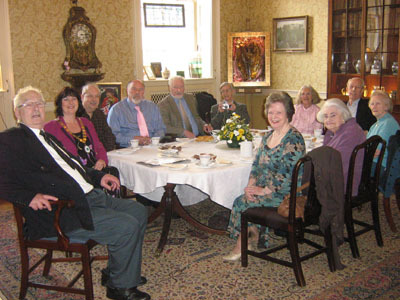 The Chairman said she hoped to get along to the memorial service the following Sunday.